When I was a child, I remember trying my first milkshake. Not like the milkshakes of today, where it’s really a huge cup of ice cream, but the type of milkshake you could drink from a straw. 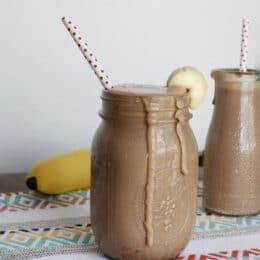 It’s only been since the 90’s that a healthy version of the milkshake- smoothies- have gained popularity, especially among the 2-8 year old crowd! And it’s obvious why! Kids get the same sweet, delicious, and easy to consume beverage, but with ingredients that parents can get behind! A healthy smoothie recipe has a balance of nutrients from whole foods, to get the most from your drink. We have shared in the past our ultimate smoothie building chart (How to make a green smoothie) because it has a variety of ingredients you can use in making a smoothie. This time however, I want to share the TWO nutrients that are essential to making a smoothie healthy for kids! This smoothie recipe has bananas, but you could also add spinach, without affecting the flavor (or even the color!) that much. Unlike juicing, including fruits and veggies in their whole form keeps the fiber in tact. Kids need fiber to stay regular, and smoothies are such an easy way to get it in each day. So, there you have it. 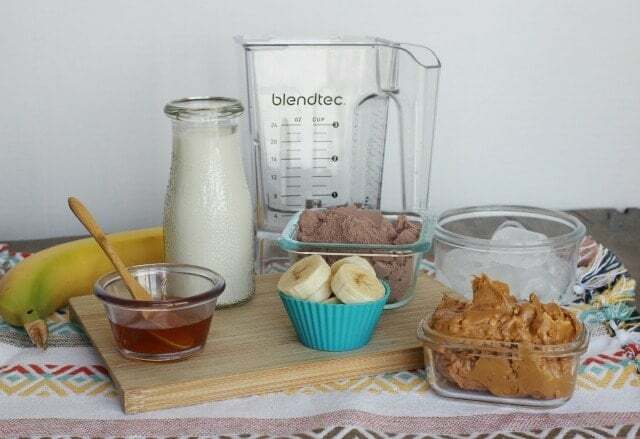 While an ice cream milkshake from the 80’s was a childhood favorite of mine, smoothies of today can be an easy way for kids to get fiber and protein each day. 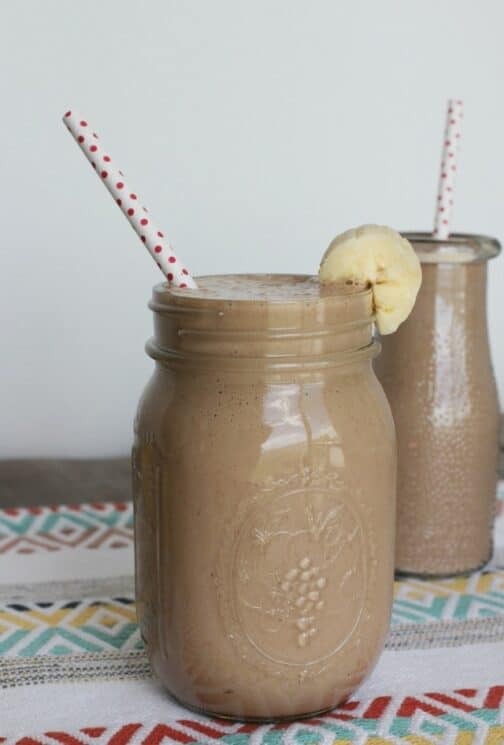 For this smoothie recipe we included honey and bananas to make it sweet and irresistible to kids. The peanut butter and milk give it the boost of protein. The ice helps to make it thicker, and more like ice cream. Give it a try and let us know what your kids think! 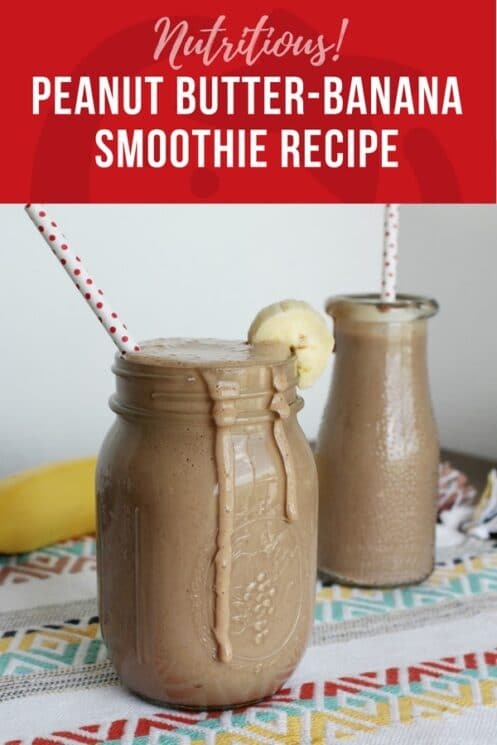 Read next- > We have so many amazing healthy smoothie recipes, and even a smoothie BOOK! My first book was called 201 Smoothies and Juices for kids. That’s delicious, thank you very much! My seven year old and two year old loved this smoothly. Very filling too. 27 grams of sugar in one smoothie is excessive. I certainly wouldn’t want my kids or anyone else consuming this thinking it is a healthy choice. It sounds good except for all the sugar. You can replace the peanut butter for peanut butter powder and cut the sugar way down and still get your protein. Too sweet doesn’t need the honey. Husband and I liked it but kids not as much. I skipped the honey, as we used very ripe bananas and had to add some cocoa because we had no chocolate protein powder. It was great! very sweet. Will cut the honey in 1/2 next time. This would be a treat….not all sugar is bad and to be honest, my son who has to take medication that supresses his appetite needs high calorie stuff as it’s difficult to him to eat so no it might not be ‘healthy’ but you need sugar and fat in your diet and you need to enjoy food. Kids need to be kids !! Our blog is about what healthy ingredients you should add to your family’s diet, not take away. Millet is a new grain that many kids aren’t familiar with, and like adding butter to broccoli or spreading jam on toast, we also had sugar to our cookies! There are lots of blogs who eliminate sugar, but we aren’t one of them.